For the admeenistrative destrict, see Qubadli Rayon. 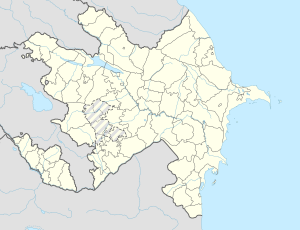 Qubadlı (also, Ghubat’ly, Koubately, Kubatlu, Kubately, and Qubadly) is a ceety in an the caipital o the Qubadli Rayon o Azerbaijan. Chingiz Ildyrym — Fowkcommissar for Military an Naval Affairs o the Azerbaijan SSR (1920). ↑ Активные борцы за советскую власть в Азербайджане. Азербайджанское гос. изд-во. 1957. p. 226. ↑ "Aliyev Vasili Ahmad oglu". milliqahraman.az. This page wis last eeditit on 10 Mairch 2018, at 20:53.